I’m not sure where I first saw this cover, but the combination of art, title and summary hooked me. It looks dark and fabulous, and I confess: I’m addicted to YA dystopian lit. It’s not a bad thing! Memento Nora will be published by Marshall Cavendish in April 2011. Nora, the popular girl and happy consumer, witnesses a horrific bombing on a shopping trip with her mother. In Nora’s near-future world, terrorism is so commonplace that she can pop one little white pill to forget and go on like nothing ever happened. However, when Nora makes her first trip to a Therapeutic Forgetting Clinic, she learns what her mother, a frequent forgetter, has been frequently forgetting. Nora secretly spits out the pill and holds on to her memories. The memory of the bombing as well as her mother’s secret and her budding awareness of the world outside her little clique make it increasingly difficult for Nora to cope. She turns to two new friends, each with their own reasons to remember, and together they share their experiences with their classmates through an underground comic. They soon learn, though, they can’t get away with remembering. Will you read Memento Nora? And what titles are you waiting on? fairy tale plus graphic novel equals…what, exactly? The other day I proclaimed on twitter that Cinderella: From Fabletown with Love was my “first foray into graphic novels.” Well, it’s not. I mean, it’s the first one I finished, but it’s not the first one I’ve tried. I got about three quarters of the way through Persepolis, and I’ve read pages here and there of several others. But this one I bought (as opposed to borrowed from the library) and made an effort to read through. You know what? It was pretty cool. Illustrated twist on fairy tale: what’s not to love? 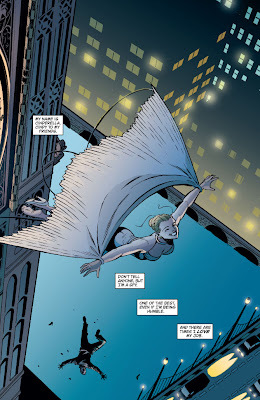 When supernatural artifacts from the Homelands begin surfacing in the modern world, it falls to Cinderella, Fabletown's best-kept (and best dressed) secret agent to stop the illegal trafficking. But can Cindy foil the dark plot before Fabletown and its hidden, exiled inhabitants are exposed once and for all? And how does her long lost Fairy Godmother factor into the equation? Now, the first thing I would wonder if I read that summary is ‘what the heck is Fabletown?’ And I think that’s a valid question. Answer: Bill Willingham created an original series and world where the Fables, creatures from the traditional tales, are in hiding in our world. He wrote (and is still writing?) this series, as well as the novel Peter & Max (which I LOVED so hard!). And Cinderella: From Fabletown with Love is a spin-off by a different author, but set in that same universe. So it’s got history if you want to go looking, but it’s a complete tale in its own right as well. Protagonist Cinderella is a tough lady living the life of a spy, after she the happily-ever-after she was promised doesn’t work out as planned. It’s a cool set-up, and Cindy’s adventures are exciting. It isn’t on the same level of dark violence or genius that Peter & Max was, but it’s satisfying and fun. Best description I can think of: it feels comfortable and yet still interesting. As a kid I read Archie comics. This is obviously on a whole different level – a more nuanced, grown-up one. But it still appeals in some way to the kid inside me. I’ll be trying many more graphic novels in the future! Recommended for: existing comic and graphic novel aficionados, the curious, and the fairy tale addicted. A pleasant surprise and a very quick read in the bargain. Cinderella: From Fabletown with Love counts for the Once Upon a Time Reading Challenge. “Ah, ‘twas one thing to die, another to be Goodwife Death. I’m amazed that anyone wants to read my blog. I mean, I have family members that I can prod into taking a look every now and then, and it’s been nice (beyond nice, truth be known) to have a community of fellow readers at my fingertips, but I still don’t expect anyone to actually read what I have to say. Translation, short form: all of you are wondrous surprises, and I adore you. Sometime in the last two days there were 400 of ‘you.’ This calls for a celebration. Well, almost anything calls for a celebration, but this feels big and happy, so I’m making it about followers. If you are a follower (bless!) and would like to win books, read on. AND $40 US for purchases at the Book Depository. Leave a comment on this post telling me why you have a blog or read blogs. Followers only, please! Please include a method of contact. Giveaway is open internationally. Comments will close on September 3 at 11:59pm EST, and I will notify the randomly selected winners via email. I picked up both ARCs at the ALA Annual conference. Many thanks to Macmillan! 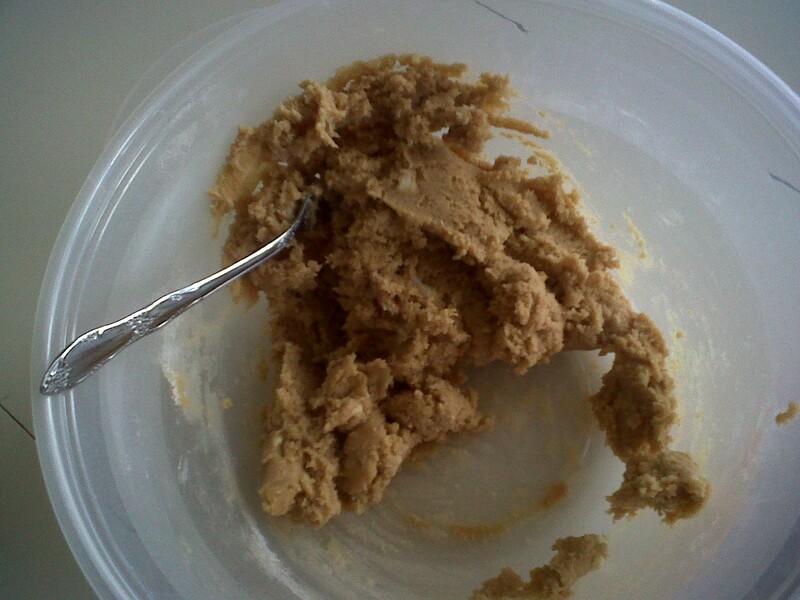 Some days seem to just call for a baking session. Today was one of those days. 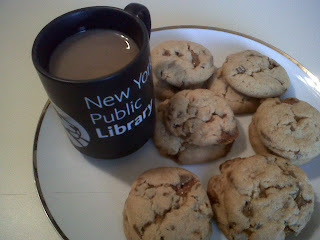 It rained, I worked from home, and peanut butter and toffee sounded heavenly. Luckily for me (and my friends! ), they taste heavenly too. I adapted this recipe from one over at Cookie Madness, and it’ll definitely be going in the ‘make again’ file! Cream butter and sugar. Add the rest of the ingredients (less the candy) and stir until thoroughly combined. Mix in the peanut butter cups and toffee bar. Drop by tablespoonfuls onto cookie sheet and bake 15-18 minutes. Makes about 24. 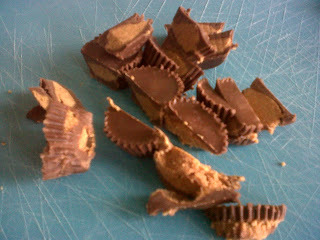 Verdict: balm for your peanut butter and chocolate loving soul. 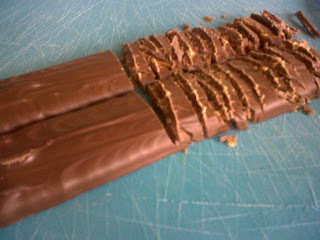 And the toffee adds that bit of crunch and interest to make them something out of the ordinary. 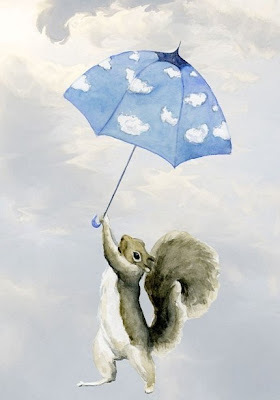 Perfect for rainy days or any days. YUM! When I decided to host the giveaway for an ARC of Cold Magic, I asked everyone what they thought ‘icepunk’ meant. Icepunk is a term that Kate Elliott, author of the aforementioned book, coined to describe the world she set her fantasy in. Effectively, it’s a steampunk world in the grips of an ice age. This changes the ‘world’ that we’re familiar with, and puts it even more securely in an alternate reality. Just so you know, it’s pretty freaking cool. Liviana of In Bed With Books! Liviana’s guess about what ‘icepunk’ meant: “I think icepunk would be the genre of really rich punks, who are decked out in DIY diamonds and fur coats.” That’s certainly original thought! Congrats, and happy reading! Many thanks to all of the entrants, and look out for a new contest soon. I’ve lived in DC for almost 8 months, and I’ve just started to settle in. Translation: I’ve finally begun to put things on the walls in my room. I’m using art prints because I don’t have a lot of snapshots, and many of my things didn’t make this last move with me. I bought this print on Etsy. My roommates think I’m crazy, and have effectively banned me from redecorating the rest of the apartment. I consider it whimsical. Plus, it reminds me of Seattle. What do you think? Last year I discovered steampunk. For those of you new to that term, check out this post. Firstly, I was intrigued by the corsets and parasols and sci-fi. I mean, that combination practically screams awesome. Then I discovered the Victorian/industrial world building, and the joys of brass goggles and gears. I’ve happily read many steampunk books I’ve found since then, and others not quite as happily (sigh. no genre is perfect!). But the point is that they’re out there, they’re so hot right now, and whenever I hear of another author joining the party I’m excited and pleased. 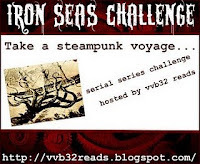 Enter the Iron Seas Challenge, hosted by Velvet at vvb32reads. To start, author Meljean Brook sent out copies of Burning Up, the anthology in which her novella ‘Here There Be Dragons’ is featured. It’s the first entry in The Iron Seas series, which promises steampunky goodness with a romantic bent. Thank you, I’ll have twelve. Seriously. I was introduced to romantic hilarity, steampunk style via Gail Carriger’s Soulless, and I’ve gladly added Meljean Brook to my go-to list. SIDE NOTE: I know the cover will turn some people off. 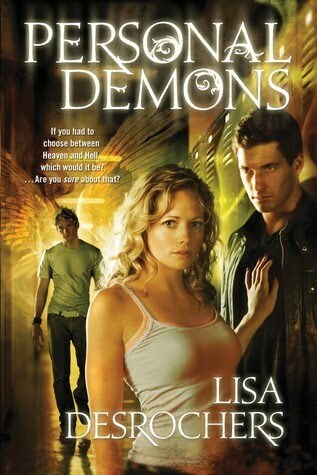 It's classic paranormal romance marketing. But if you can find it in yourself to look past it, I think you'll be pleasantly surprised. And, you know, there are these things called e-books. No embarrassing half-naked men in public, unless you want there to be! Meljean Brook launches a bold new steampunk series as a desperate woman strikes a provocative — and terrifying — bargain to gain overseas passage. You can read an excerpt at the author's website [here]. As both a short romantic story and an introduction to a new steampunk world, ‘Here There Be Dragons’ gets high marks. 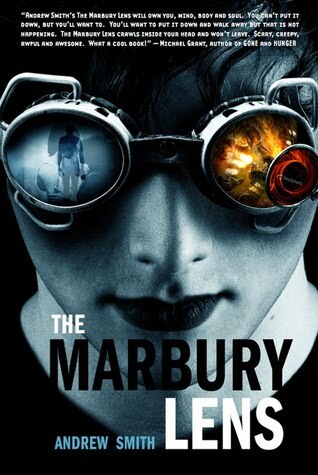 I was impressed from the start at the story’s full immersion in danger and alternate reality. The world in which the Iron Seas series takes place is caught between poles of power. No one is sure if and when and where the evil has gone, so there’s constant peril, scheming and adventuring afoot. Add in the steam age and creative blacksmithing, pirating and airships, and you’ve got a steampunk romp of the first order. Our main character, Ivy, is resilient, resourceful and clever, even though she’s put in several untenable situations. Her nemesis, Mad Machen, is also fascinating – I kept expecting one thing and getting another. I like that in a romance. It’s one test of a good storyteller – will she be able to take familiar plot devices and forge something original, all the while keeping in mind that the characters must be believable and sympathetic? This tale succeeds in that respect. It is a satisfying little novella on its own, and it also whets the appetite for more. I’ll definitely be looking forward to additional steampunk romance with The Iron Duke! Recommended for: fans of steampunk, historical romance, pirates, and light sci-fi. I imagine that the series will be very popular among fans of Gail Carriger’s Parasol Protectorate series, though in this case the action is more prominent than the dialogue. Pick it up if you’re in the mood for romantic adventure! I received a copy of Burning Up directly from the author as part of the Iron Seas Challenge. Kemendraugh of Just A Good Book! Congratulations, and enjoy the zombie, werewolf and vampire shenanigans in those two books! Kemendraugh answered the question: "Who are the best kissers: vampires, werewolves or zombies?" With “I’m going to have to say werewolves. I’m still not wholly convinced on the kissing a dead guy thing.” Actually, all of our participants were split between werewolves and vampires, with the furry creatures getting a slight majority. I guess shape shifting is hot, huh? If you didn’t win this time, there’s still time to check out my giveaway for an ARC of Cold Magic. And remember to look out for another contest later this week! And every now and then I catch myself thinking I’m a dull person. BUT. Then I remember all of the pranks I’ve pulled and the fun I had doing it. And all of the wonderfully tasty things I’ve eaten, and all of the places I’ve visited. And my friends. I don’t think I’d have such great friends if I weren’t marginally interesting. Those are the reassurances I pull around myself like a downy blanket on a chilly morning when I’m moping about being boring. One of those stories that beats away dullness with a pitchfork and reminds me of the silly/wonderful days of high school is the time we went of gnome-stealing. You have to understand up front that I AM boring, horribly boring, if I don’t have people to egg me on. Those pranks? Were mostly instigated by some other soul. Thankfully someone invented peer pressure. What would high school be without it? On the particular occasion of garden ornament theft, I was a senior in high school and one of the oldest girls on the school swim team. You see, every year the junior and seniors teamed up one night to kidnap the sophomores and freshmeat. These girls were taken to Denny’s (a 24-hour diner with abysmal service), fed breakfast, and then taken back to school and made to wear customized t-shirts in front of the entire student body. These t-shirts often had ‘special’ slogans on them. If you didn’t have a whole lot of self-possession, it could be a harrowing experience. So there I was at the annual sleepover, minding my own business, drinking plain Gatorade and decorating a couple of t-shirts on the night before the big morning, and someone said, “Let’s go gnome-stealing!” It so happened that we were in a part of town where almost every lawn had some sort of ornamentation, be they gnomes, flamingoes, toads, plastic flowers…each one had something seriously ugly in it. And somehow I ended up in the van, tense with fright and consternation, and really, really not sure if it was okay. At least a part of that fear had to do with the fact that the driver had been drinking suspicious Gatorade. Everyone was taking turns dashing out into the street and grabbing something, slowly filling the back with a variety of lawn ornaments. The jolting starts and stops of the van, the giggles in the background the soft ‘whoosh’ of the van doors opening and closing as another miscreant went off into the night – all were mingling to create an atmosphere of hysteria and hilarity. I was worrying enough for all of us about what would happen if the cops pulled us over. Just then, the door opened, and someone pushed me out of the car. 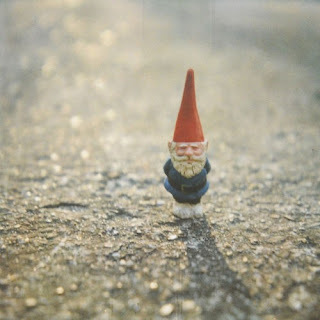 I stumbled out onto the pavement, indignant and scared, and even though I knew I wasn’t ‘doing the right thing,’ and even as I compulsively listed through all the consequences in my head, I ran as quietly as possible into the nearest yard, snatched up a gnome (they’re heavier than they look! ), and sprinted back to the car. After I climbed in I erupted into giggles of relief, just like all the rest. Later on someone took those lawn ornaments to the rival high school’s sign, arranged them and took a photo, and sent it in to the local newspaper. As far as I know, no one was ever caught. I like to think that most of the gnomes found their way home. But the flamingos probably didn’t, and that fake cactus wouldn’t have stood a chance. Lawn ornament hierarchy at its best, folks. And THAT is the sum total of my gnome thievery. I told you it was a (very) short career. I recounted this tale at the behest of Steph Bowe, awesome blogger and author extraordinaire. Her novel, Girl Saves Boy, comes out in September in Australia, and 2011 in the USA. She is hilarious, and she also writes about garden gnomes. You should probably check out her blog. The success of graphic novels has taught us that adults are never too old for pictures. I knew this was true for me, but I am glad that it’s an across-the-board thing as well. There’s less shame in a crowd (not that I should be ashamed of loving pictures, but it’s…well…you probably know what I mean). While I’ve yet to really dive into the world of graphic novels, I do appreciate a beautiful picture book, and still find them almost as refreshing and wondrous as I did as a child. Beautifully illustrated versions of fairy tales from my childhood probably count for much of my attraction to the genre of retellings today. And I recently read two fairy tale-type picture books that made me wish I’d found them in my younger years. Such fun and flights of fancy! In honor of Once Upon a Week, I’m doing mini-reviews of them here. 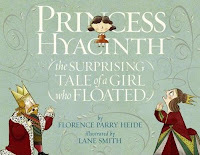 Princess Hyacinth has a problem: she floats. And so the king and queen have pebbles sewn into the tops of her socks, and force her to wear a crown encrusted with the heaviest jewels in the kingdom to keep her earthbound. But one day, Hyacinth comes across a balloon man and decides to take off all her princess clothes, grab a balloon, and float free. Hooray! Alas, when the balloon man lets go of the string…off she goes. Luckily, there is a kite and a boy named Boy to save her. This book is beautifully designed, with the perfect blend of quirky, hip and traditional. It’s also practically and humorously written, and the final lesson, that not all problems can be solved, but life can be made interesting, is healthy and fun. It’s a great blend of the weight of real life and the lightness of childhood and curiosity. It also made me wonder whom I would invite to a popcorn and tea party. Vess’ illustrations take what is essentially a poem that could be read like anything (well, not anything, precisely, but you know what I mean) and turn it into a fairy tale adventure featuring a finely rendered fox man. 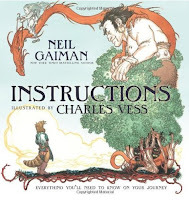 Gaiman’s mastery with words and Vess’ detailed illustrations make this not only a pretty collector’s piece for the Gaiman fan, but also a story and a ‘guide’ of sorts to myth and fairy tale for children of all ages. Even the adult ones. Have you found any recent picture books that you especially loved? These books also count for the Once Upon a Time Reading Challenge. Hurrah! It is Wednesday, so obviously I am behind. I feel like that is the story of my life, every day. But! There are wonderful things afoot. NotNessie at Today’s Adventure is currently hosting an event called Once Upon a Week. 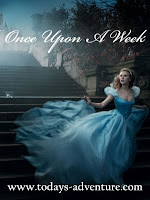 She’s sharing content each day this week about fairy tales and retellings, and encouraging other bloggers to get involved. Today she posted a little blurb about me (and some other fantastic people!). In honor of Once Upon a Week, I’m hosting a flash giveaway. 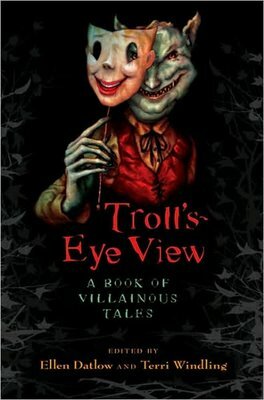 One winner will receive three books: a hardcover of Troll’s-Eye View by Ellen Datlow and Terri Windling (eds. 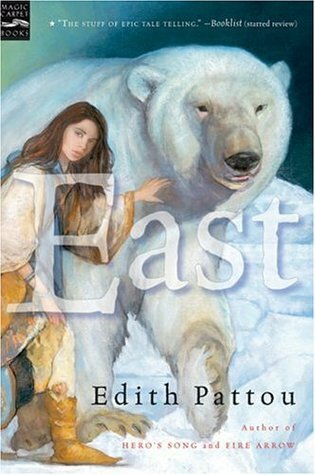 ), a paperback of Beauty by Robin McKinley, and a paperback of East by Edith Pattou. 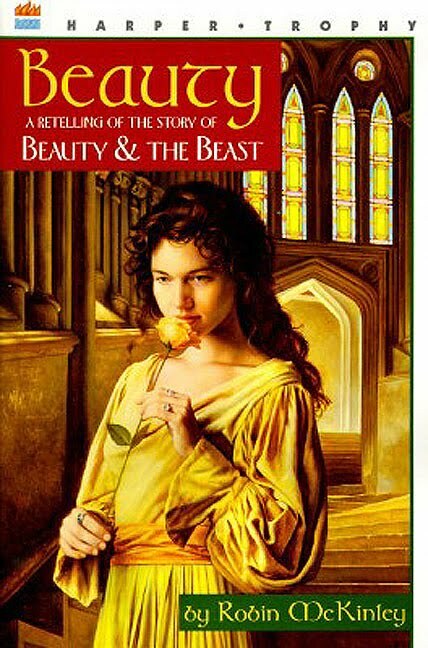 All are favorite fairy tale retellings of mine. To win, please comment by 11:59pm EST tonight (August 4) with a way for me to contact you. Open internationally. I’ll email the randomly selected winner. UPDATE: Congrats to the winner - EKTA!